Register with us as Voice Artist ! Equipment :: Name of Mic on which your samples are recorded, or do you have Home Setup etc. Kindly attach your studio demo samples while mailing above details. 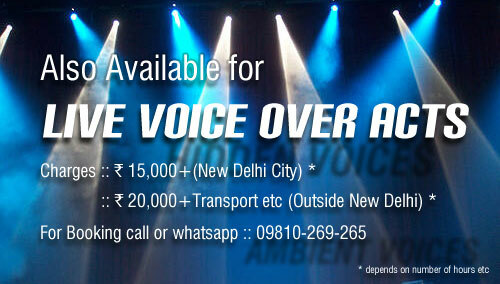 Kindly read the link http://indiavoiceover.blogspot.in/p/blog-page.html for applying for above Voice Over jobs.